Pre-workout supplements are popular among bodybuilders and weightlifters that are looking for that edge to crank out extra reps and get a good pump. But what about athletes? What are the best pre-workout supplements for athletes? There actually is a difference between the best pre-workout for athletes and the best pre-workout for bodybuilders. Athletes don’t need massive amounts of stimulants or creatine. Athletes are more likely to require something that will give them a little extra focus or boost, without the crash, and also aid them in recovery by shuttling good nutrients around their bodies. Athletes are typically focused on harnessing their craft and improving performance rather than exclusively adding muscle. 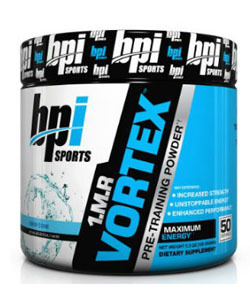 So the pre-workout that a football player, baseball player, or cyclist would need will be quite different from many of the pre-workouts on the market aimed at bodybuilders. The best pre-workout for athletes is one that doesn’t over-stimulate you with sugar and caffeine and result in a crash. A lot of athletes are training multiple times a day every day of the week and don’t have the luxury of just relaxing, eating, and sleeping for a couple of hours after a 45-minute workout. 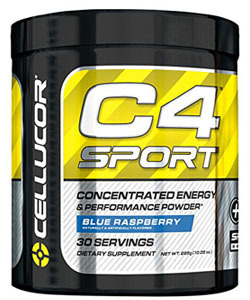 That’s why this pre-workout from Cellucor C4 is one of the best pre-workout supplements for athletes. It has a moderate dose of caffeine (nothing that is going to result in a crash) and Cellucor’s C4’s Energy Blend, which is made up of micronized creatine monohydrate, beta alanine, and arginine AKG. This mix makes it perfect for the athlete who needs the energy, focus, and power to run, jump, compete, and drill their moves. Whether you are a football player, soccer player, or golfer, this supplement will help you be your best and take your game up a notch. I consider it an essential pre-workout supplement for athletes. It also tastes great. Pick up the Fruit Punch or Blue Raspberry flavor. 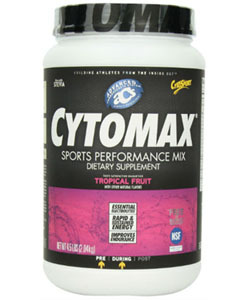 CytoSport is another one of the best pre-workouts for athletes because it has a specially crafted blend of ingredients that are perfect for assisting you in your athletic endeavors. Sure, if you want to set a PB on the deadlift or dead to do a hypertrophy workout of fifty sets to blast your chest into new growth, this supplement isn’t for you. But if you are spending a lot of time on the track, drilling right hooks and throws for martial arts, or simply walking long distances for golf, this is the supplement for you. CytoSport has complex carbohydrates rather than sugar, which will fuel your running or long bouts of exercise and stabilize your blood sugar. You don’t have to worry about crashing halfway through your training because this supplement doesn’t contain any simple sugars. It also has a great ingredient called alpha-l-polylactate, which helps to prevent acid build-up, or the “burn”, and minimizes muscle soreness after you’ve worked out, which will help your recovery time. Bodybuilders might like the feeling of post-workout soreness, or DOMS, because it tells them they’ve sufficiently broken down their muscle fibers, but athletes don’t want to deal with constant soreness when they need to workout several hours a day every day. This supplement also has 35mg of caffeine and some nitric oxide boosters to help improve oxygen uptake. It also tastes great (Tropical Fruit is my favorite), mixes well, and makes your training even more fun. Optimum Nutrition has 80mg of caffeine, which is like a medium cup of coffee, just enough to let you kick yourself into gear and get into the groove of your training. It also has BCAAs, glutamine, citrulline, antioxidants, NO boosters, and an electrolyte blend. This is a great blend for improving oxygen uptake, helping reduce muscle soreness, and improve recovery time, three of the most important things for an athlete. This product is on the more expensive side but it’s well worth it and will certainly be a fantastic addition to your athletic arsenal. I recommend the Fruit Fusion flavor mixed with a shaker full of ice because it tastes like a great cocktail but healthy! This supplement is the best pre-workout for athletes if you mainly need to train for power and strength. Vortex is perfect for football players training their sprints, baseball players testing out their swings, or basketball players working on their dunks. This product isn’t going to give you massive pumps but it will give you a nice burst of energy without a crash and noticeable increases in strength. It’s got a great stimulant matrix that includes the equivalent of three cups of coffee and yohimbe. There’s nothing artificial in this product and the ingredients list is kept on the low end, which I think is great. I love supplements that only include the effective ingredients and shun fillers. If it matters to you, this supplement also tastes delicious (the Snow Cone version). It’s also very well priced so most athletes can definitely afford this. In fact, if you’re a serious athlete, I would say you can’t afford not to have this in your gym bag! Bodybuilders will definitely recognise the MusclePharm brand name and will probably associate it with the company’s Assault pre-workout supplement. 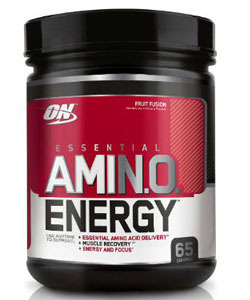 Assault is great for short and intense workouts but athletes will want to check out the company’s Amino 1. This supplement doesn’t have caffeine or creatine, which makes it perfect for those training sessions in the evening. Plus, what athlete wants to be dependent on stimulants for their performance or cramping from too much creatine? 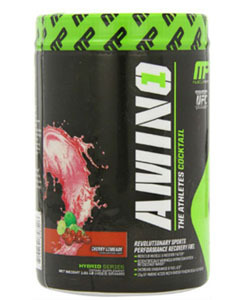 Amino 1 has 10g of BCCAs with every scoop and lots of electrolytes and coconut water. This supplement is great for improving endurance, keeping you hydrated, and speeding up recovery. There’s also some citrulline malate, which will help nutrients flow more easily through your body. The best pre-workout for athletes is a heavily debated topic but one thing is for sure: each of the five supplements listed above are the best of the best and guaranteed to aid your training. They’re all designed with endurance, recovery, and performance in mind. They’re not stuffed with caffeine, creatine, or chemicals like most of the other pre-workout supplements you see people taking. Whatever you sport is, these are the supplements that will help you improve your skills and performance.